Traveling to the African continent and looking for something different? Morocco is certainly an option, full of history and culture, old rusting buildings, excellent cuisine and plenty of sunshine. The transport system is well-connected, and tourists can easily make use of the trains, taxis and buses throughout the country which are affordable and clean. It’s quite pleasant to do sightseeing on your own and not always necessary to join a guided tour. 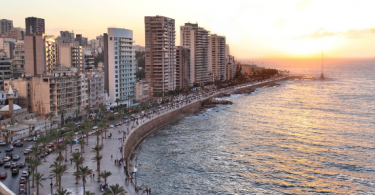 There is a little something for everyone to see here and if you’re into history, ancient buildings, and souks, you’ve chosen the right place for your vacation. 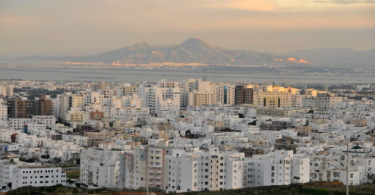 Much of the Moroccan history is still evident, yet well integrated with the modern lifestyle in Morocco. If you’re paying a visit to an ancient monument, it is quite common for tourists to stop off at McDonald’s for a quick bite, as such food outlets are scattered amidst Morocco’s historical sites. For a more laid back approach to your holiday, why not do some nature and hiking tours? There are plenty of options for camping in the Sahara Desert, or even jeep safaris, hiking in the blue city of Chefchaouen, or simply visiting the gorgeous beaches in Agadir or Casablanca. If you’d prefer not to venture out in groups of your own, the tours are quite affordable. Booking accommodation on your own would be a cheaper option, as hotels are expensive. It would be best to opt for a hostel or the online site, Air B&B. You can rent apartments in various cities within the range of $75-$95 per day, as opposed to $150 a day for hotels. These are great and come with a maid cleaning service and an optional meal service. Driving through Morocco, whether in the city of Rabat, Meknes, Fez or Marrakesh, you will see remnants of the ancient city walls standing twenty feet high. The walls appear throughout Morocco with their beautifully carved gates and towers stretching as far as the eye can see. There are also the ancient Roman ruins, Volubilis, which are an hour or so from Meknes and located at the foot of the Atlas Mountains, these make for a striking view. Their architectural beauty is reflected in the mosaics and intricately designed archways within Volubilis which are so often admired by the tourists passing through the site. 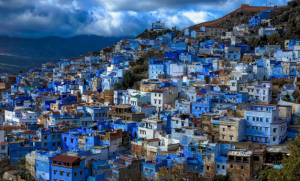 A really great place to visit is morocco are the old parts of town or ‘Medina,’ with their popular bazaars which have such a vibrant atmosphere as one walks the cobblestone streets. Outside the souks, you may come across a snake charmer or acrobats who make a living on the streets in Morocco. If you’re fortunate, you may spot a couple of monkeys dressed in cute cardigans! 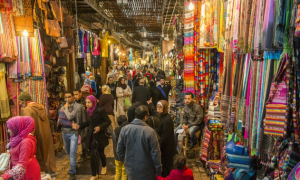 Although the souks are not too expensive, you can always get the price down a little, as everything in Morocco is negotiable. One can purchase a whole kilogram of fresh beef for $1 or a T-bone steak for $12. In Morocco, there are many varieties of olives and dates from the region, so be sure to sample a few. There are also Moroccan crafts which you can take home with you, and the souks are filled with these. If you push it, you could even get as much as sixty percent off the initial price. There are lots of amazing sites to see and many awesome adventures to go on in Morocco, you can even have a tailor-made holiday tour of your own, and opt for the places you really hope to see!